Here’s another victory for environmental defenders! Adani’s Carmichael coal mine in central Queensland, which could have been one of the largest coal mines in the world and responsible for substantial greenhouse gas emissions, is now without legal authority to commence construction or operate. The Federal Court of Australia overturned approval of the project. Read the court order HERE. Environmental Defenders Office (EDO) NSW, representing the Mackay Conservation Group (MCG), challenged the $16.5 billion project which the Federal Environment Minister Greg Hunt approved last year .The approval stirred unrests among local communities, indigenous people, tourism businesses, and various green and civic groups. Sue Higginson, principal solicitor of EDO NSW said the the decision of the court to overturn the Carmichael mine’s federal approval was based on a failure by the Minister to regard conservation advices for two Federally-listed vulnerable species, the Yakka Skink and Ornamental Snake. This kind of error in the decision making process is legally fatal to the Minister’s decision, the solicitor said. The Minister approved the project without regard to the threats of endangered species which are found only in Queensland, the solicitor continued adding the law requires that the Minister should have considered conservation advices on the impacts of national environmental significance, such as the case of threatened species. The Minister also failed to consider global greenhouse emissions from the burning of the coal and Adani’s environmental history although these matters are left unresolved before the Court. Australia’s largest coal mine could be exporting up to 60 million tonnes of coal from across the Great Barrier Reef Coast every year. The Australian Conservation Foundation (ACF) estimates the mine will take 297 billion litres from underground aquifers, causing a drop in water table levels on which local farmers rely. When burnt, coal from the Carmichael mine will produce 128.4 million tonnes of CO2 per year, at peak production, or four times New Zealand’s annual climate pollution. 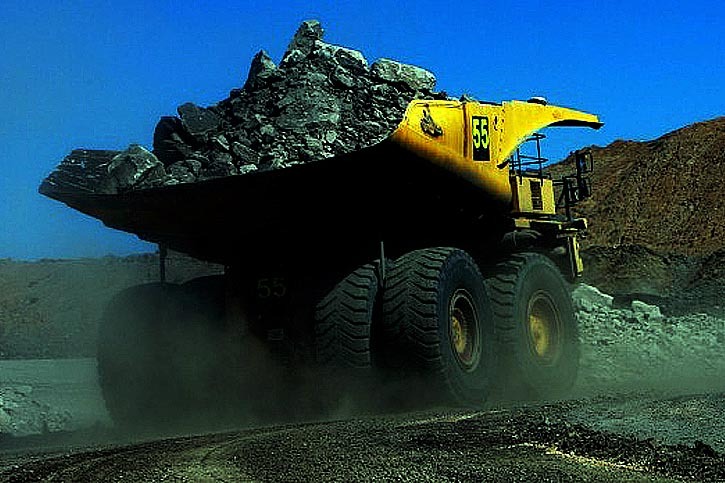 “It will be up to the Minister now to decide whether or not to approve the mine again, taking into account the conservation advices and any other information on the impacts of the project,” Higginson said. MCG is running a campaign calling the Minister to reject the project once and for all. This entry was posted in Business, Mining/Coal/Gas and tagged Abbot Point, Adani, Carmichael Mine, coal, gas, mining, Queensland by rowenadelarosayoon. Bookmark the permalink.